Providing you the best range of boilers braided rope, refractory ceramic fiber rope gasket, ceramic fiber rope, fireproof and heat resistant ceramic fiber rope, ceramic fiber twisted rope and refractory fireproof ceramic square fiber insulation rope with effective & timely delivery. It includes three styles: twisted, round braided and square braided. All are made of our high quality ceramic fiber yarns. They can be used for high temperature applications up to 1000° C. The rope is reinforced with fiberglass filament, and optional stainless steel wire. It contains a certain amount of binder material which is normally burned at lower temperature and does not affect the insulation property. 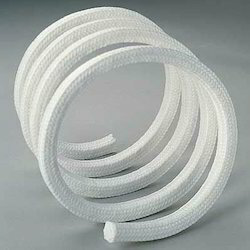 Refractory Ceramic Fiber Rope Gasket are dense and fabricated from high performance ceramic fiber yarn material braided around a core of ceramic fiber rope to form a packing in round or square braid. Our reputed organization engaged in manufacturing and supplying a wide range of Ceramic Fiber Rope which is manufactured with a team of qualified engineers who are having vast experience of this domain. 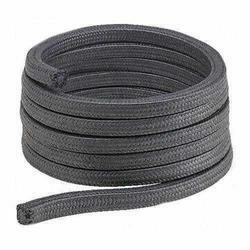 These ropes are used in various applications for various industrial purposes. These ropes are having excellent low thermal conductivity properties and it is suitable for high temperature. 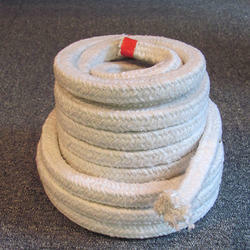 These ropes are praised by our customers for their cost effectiveness. 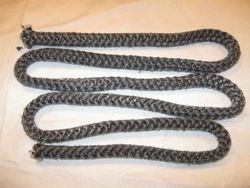 It includes three styles:twisted,round braided and square braided.All are made of our high quality ceramic fiber yarns.They can be used for high temperature applications up to 1000C.The rope is reinforced with fiberglass filament,and optional stainless steel wire.It contains a certain amount of binder material which is normally burned at lower temperature and does not affect the insulation property. 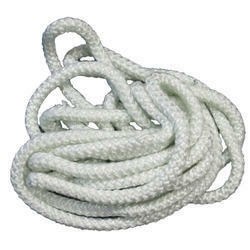 Sunreach Ceramic fiber rope includes twisted rope, round braided rope and square braided rope. All are made from our high quality ceramic fiber material. They can be used for high temperature applications up to 2300 F. The rope is reinforced with fiberglass filament, and optional Inconel/alloy steel wire. 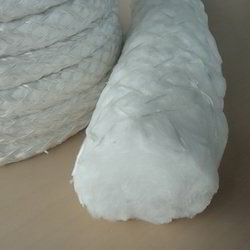 Ceramic fiber textiles (cloth, tape and rope) contain a certain amount of binder material which is normally burned at lower temperature and does not affect the insulation property.The three different styles are designed to fit different application needs: twisted rope is a soft rope, while square and round braid are more dense and solid. Insulation of high-temperature tubes, containers,etc. The protection of cable, fuel tubes,etc. 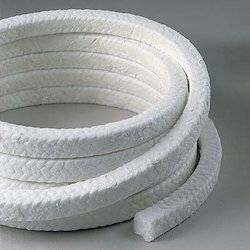 Refractory Fireproof Ceramic Square Fiber Insulation Rope Rope Round braided rope is dense, resilient, high performance ceramic fiber material fabricated from ceramic fiber yarn braided around a core of ceramic fiber rope to form a packing in round section. It is widely used for a broad variety of high temperature gasketing, packing and sealing application. We are instrumental in offering wide range of MICA Coated Ceramic Rope which offers consistent services for longer period of time. These ceramic ropes are manufactured with using latest technology and quality raw material. It is used in heavy machinery industry. It is appreciated by the clients for their excellent heat insulating properties and high tensile strength. Our High Temperature Static Seals Ceramic Fiber Rope is exported to many countries in the world,the sample is free for you. Please see the data sheet and picture below. 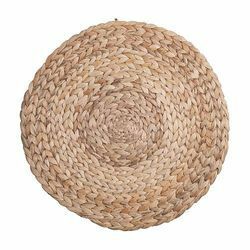 Round braided by ceramic fiber yarns and used as heat insulation materials and an excellent substitute for asbestos rope. For high temperature resistant electrical cable, wire covering and pipe wrapping. HY-C610RI is braided ceramic square rope with metallic wire. 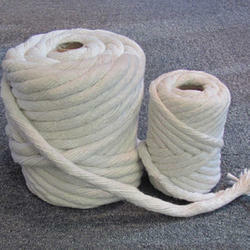 Length: 25m, 30m, 50m for 1 roll or as customers request.